We have been looking at the new Magento PayPal OneTouch and In-Context Checkout module, recently released to Magento Connect. You might be looking at the reviews of the module and be fearful of it breaking your Magento installation – as was the experience of several reviewers in the earlier releases of this module. However, we’re pretty sure that with the resources at their disposal PayPal will stabilise this module very very quickly, if they haven’t already. 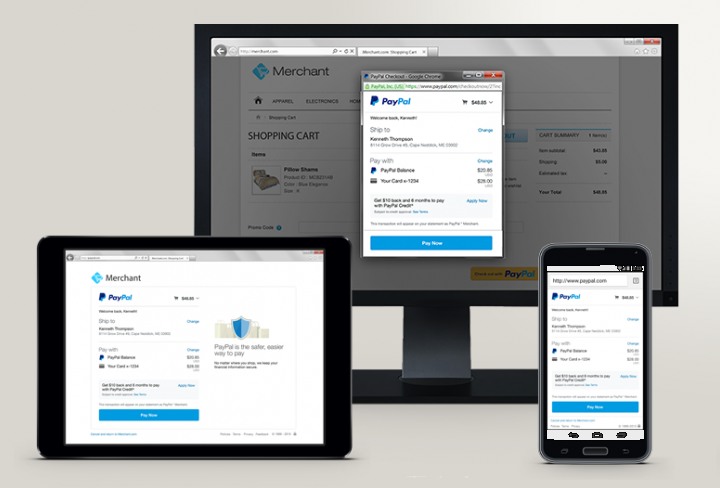 What Does Magento PayPal One Touch / In-Context Mean for You? Now, this is of interest to us, as Magento installers, maintainers, and operators for a couple of reasons which apply in some installations we’ve worked with. Sometimes unpaid PayPal orders in a pending state still come down to Brightpearl and it’s hard to know if the order is ready (and safe) to ship. In theory, we don’t think the second problem above will be solved by this, BUT we do have great hopes that it will improve the first! Meaning better reporting of conversions and therefore you can build a better picture of checkout trends on your site – especially as the human behaviour throughout the checkout sequence differs for Mobile vs Desktop users – the Mobile users are likely to choose the quickest possible method they can , and if that’s PayPal you might well have been losing a lot of intel previously. So, we will be testing this on a development installation (yes, we are still a tiny little bit wary of the “broken Magento” reports!) very soon and will report back.